During his lifetime, Erroll Garner was a somewhat controversial figure with jazz aficionados. The main knock was that he was a technical master of the piano with plenty of flair and piano-bar panache, but not enough soul and swing to be a jazz heavyweight. Despite the bickering among jazz critics, Garner (who died in 1977) did not have trouble filling performance spaces or selling albums, but his place in the public ear waned after his death. His live Concert by the Sea remains one of the best-selling jazz albums ever, and received a deluxe 3-CD reissue (and was nominated for a Grammy) last year. Now, Sony/Legacy has dipped into the archives of Garner’s late manager, Martha Glaser, and found 14 finished but never released recordings, the content of this new album. Ready Take One is composed of recordings made in 1967 at Universal Recording Studios in Chicago; in 1969 at Capitol Studios New York; and in 1971 at RCA Studios New York. The album closes with a live version of Garner’s hit, “Misty,” recorded in Paris in May 1969. For the 1967 sessions, Ike Isaacs on bass, Jimmie Smith on drums and Joe Mangual on congas backed Garner. For the 1969 and 1971 studio and live recordings, Earnest McCarty, Jr. replaced Isaacs on bass. The fact that the band and style of playing remains consistent throughout makes the album hold together as a coherent sequence of enjoyable tunes rather than an “archive dig” of disjointed musical examples. According to Robin Kelly’s liner notes, Garner’s style in the studio was much like his style on stage with his band: he would call out a tune and then go, with the band responsible for keeping up with whatever improvisational twists he chose to explore. Fortunately, the backing musicians were up for the challenge, and the recordings sparkle with the excitement of a quartet doing what good jazz musicians do—exploring and reacting to each other rather than playing heavily-rehearsed and written-down music. And, for the record, although all of the players are technically excellent, the album gushes with swing and soul. One admittedly minor criticism: although the liner notes emphasize the fact that the reissue producers chose to keep audio of Glaser calling out take numbers and a few seconds of studio banter here and there, this “bonus material” does not add anything to the music. In fact, it slightly interrupts the flow of the album. Six of the album’s 14 cuts are Garner originals; “High Wire” and “Wild Music” are particularly nice. The Paris recording of “Misty” also stands out because, despite playing the song thousands of times to ever-eager audiences, Garner could still bring excitement and a connection of “I’m playing this song just for you” to what was yet another performance. Also interesting is the band’s take on the Juan Tizol/Duke Ellington standard “Caravan.” Garner’s decision to take the melody apart and reassemble pieces of it on unusual beats doesn’t always work, but the approach shows how the band was not content to run through standards in any sort of traditional way. The 1971 sessions, especially, show the influence of funk and acid-jazz on more traditional performers. Garner sometimes sounds quite a bit like Ramsey Lewis (“The In Crowd”), and that more-soul/less-swing approach was probably preferred by live audiences of the time. But, Garner never shies away from virtuosity, so there is always crisp execution of complex right-hand runs and rock-solid left-hand rhythm. Sony/Legacy has an arrangement to mine the archives of Garner and Glaser, and more releases are promised. Hopefully, there is more of this kind of polished music in the vaults. And, hopefully, future reissues producers will assemble and sequence future releases into enjoyable, musically coherent albums like Ready Take One. 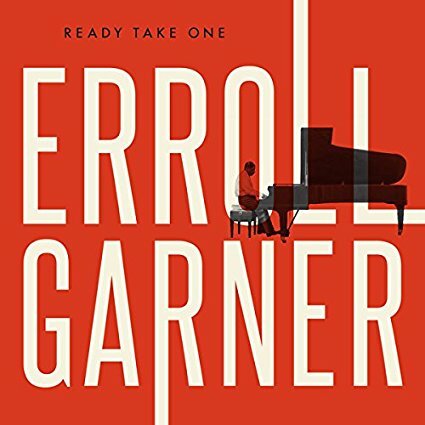 This entry was posted in Jazz and tagged 2016 music, 2016 reviews, black music, Erroll Garner, Erroll Garner Ready Take One review, Jazz, Ready Take One, Tom Fine by aaamc. Bookmark the permalink.